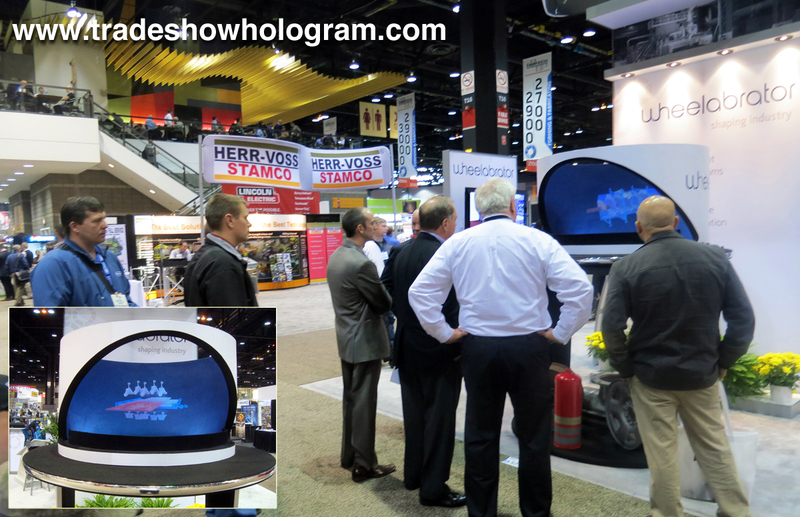 Trade Show Holograms created a 3D Hologram Projector presentation for the Wheelabrator booth at Fabtech 2013. The holographic exhibit wasted no time in attracting attention to the booth with its unique exhibition. 3D video appears to float in mid air while featuring highlights of a clients product line. Fabtech was held at Chicagos McCormick Centre from Nov 18 thru 21st. It is the largest manufacturing trade show in North America. In todays busy trade show environment, exhibitors are seeking new ways to stand out from the crowd. 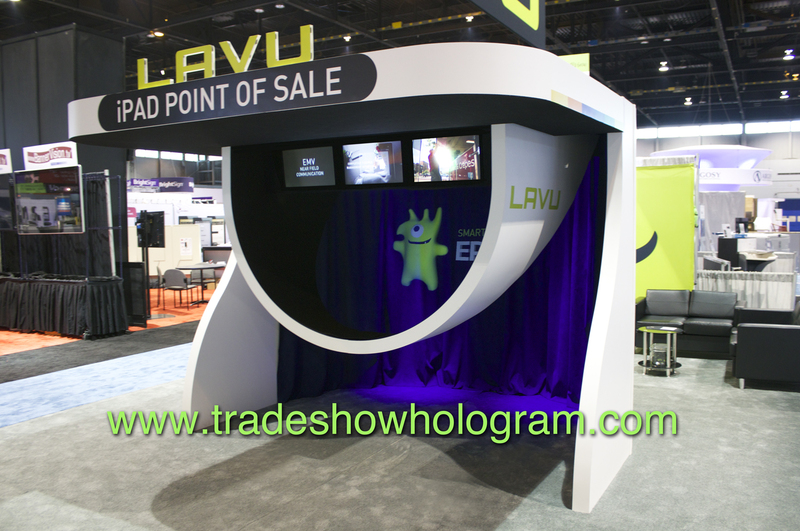 3D Hologram projectors are a popular way to attract attention to a trade show booth. The projectors are available for both rental and sale across North America. Holograms are available in multiple sizes ranging from small to life sized holograms. Hologram Projector draws attention at trade show. In the crowded atmosphere of a busy trade show each exhibitor has to compete to attract attention to their booth with something unique. A 3D Hologram Projector is an excellent way to do just that. Holographic projections are an eye catching way to present a product or sales message. Holographic images appear to float in mid air, vanish , morph into something else or show off highlighted features of the product. The fully animated presentation features a wide range of colors and an audio track if desired. 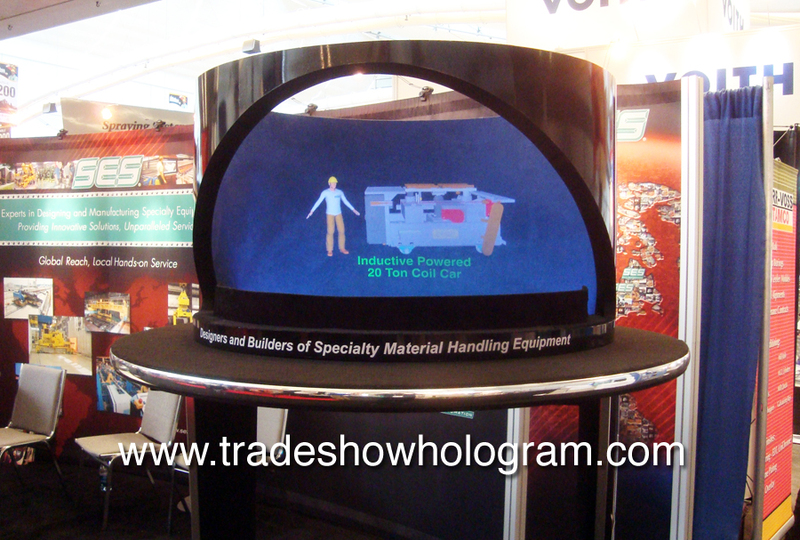 Trade Show Holograms has been creating and deploying a wide range of hologram projectors since 2006. 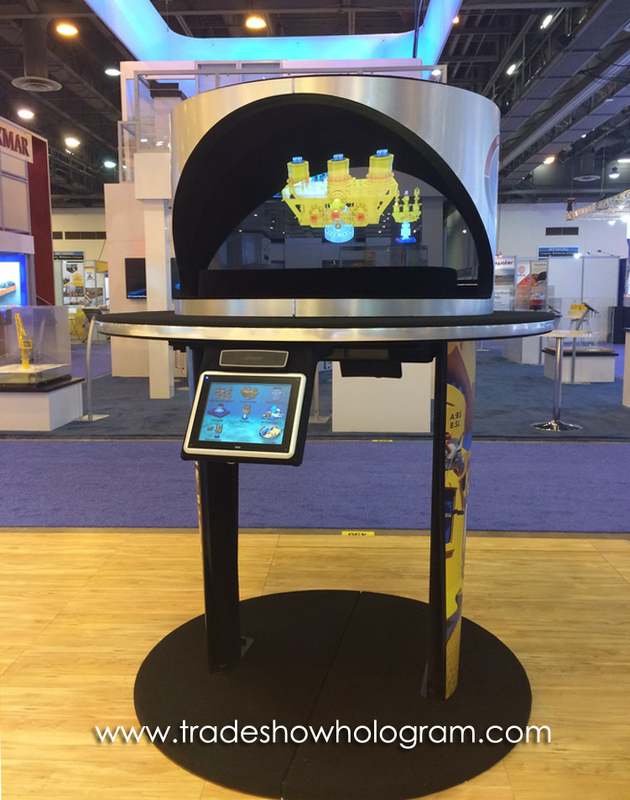 Holograms range from a standard size designed for the average trade show booth exhibit to large sized holograms where the holographic projection can reach 20 ft wide. Holograms can be purchased or rented by trade show exhibitors looking to attract traffic and stand out in a crowded marketing environment. Large Sized Holographic Projection – 3D Hologram Images float in mid air! 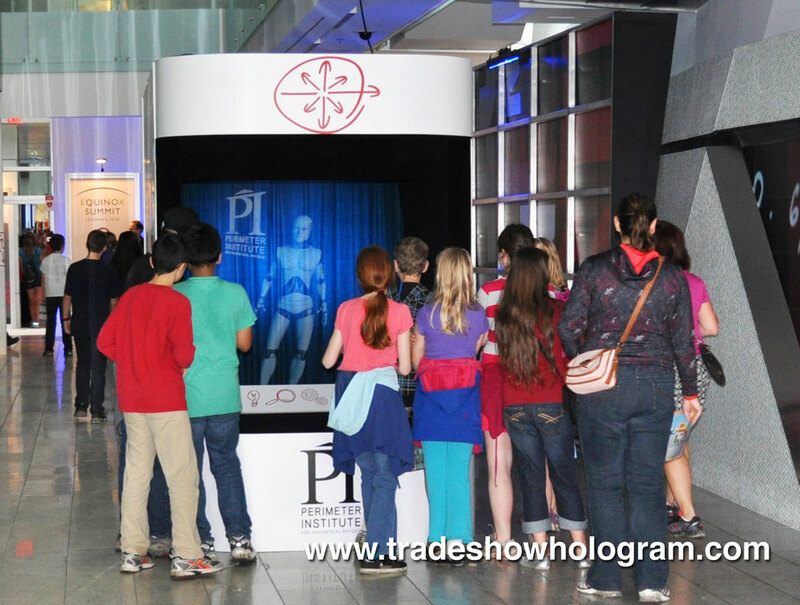 Trade Show Holograms offers a wide assortment of 3D hologram projectors including large and extra large sized holograms. Holographic projection sizes range from 12 inches high to 6 ft high and 20 ft wide. Hologram projectors can display a full range of movement in a 3D realm to show off any product from any angle. The full color images appear to be floating in mid air with no means of support. Audio tracks and sound effects enhance the optical illusion. No special 3D glasses are required to viewers to see the 3D illusion. 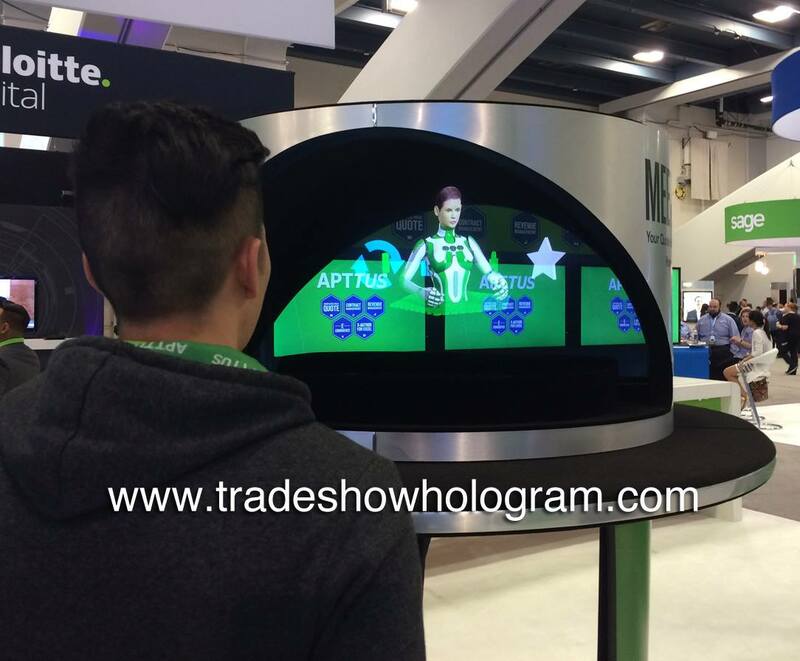 Hologram rentals are a popular choice among trade show exhibitors looking to offer a special effect to attract attention to their booth. Hologram sales are also available. The hologram projector pictured here featured a holographic conductor conducting a magical orchestra where instruments play by themselves as they fly around in a holographic projection area. Holographic Conductor conducts a magical hologram orchestra. 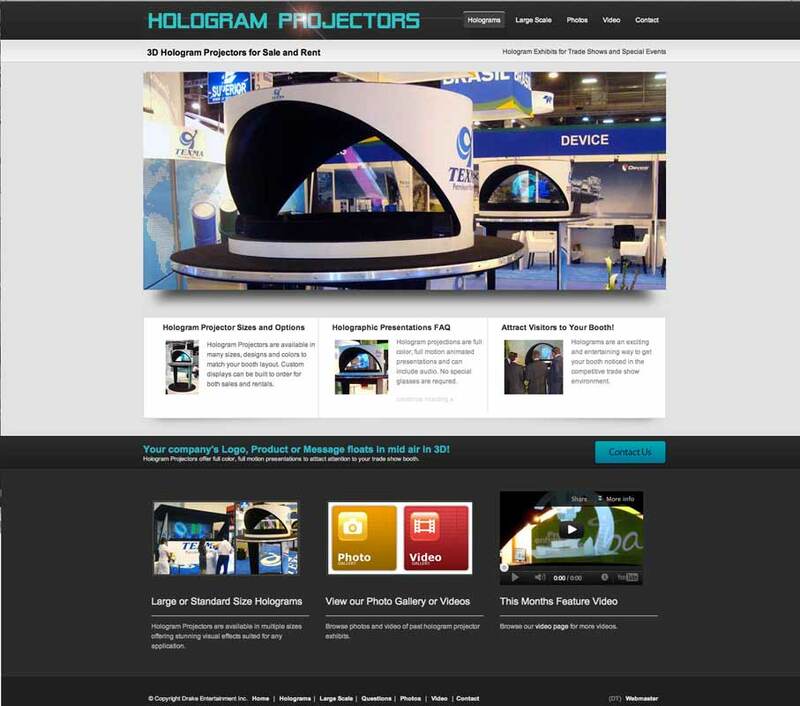 A new website to promote sales and rentals of hologram projectors was recently added online. 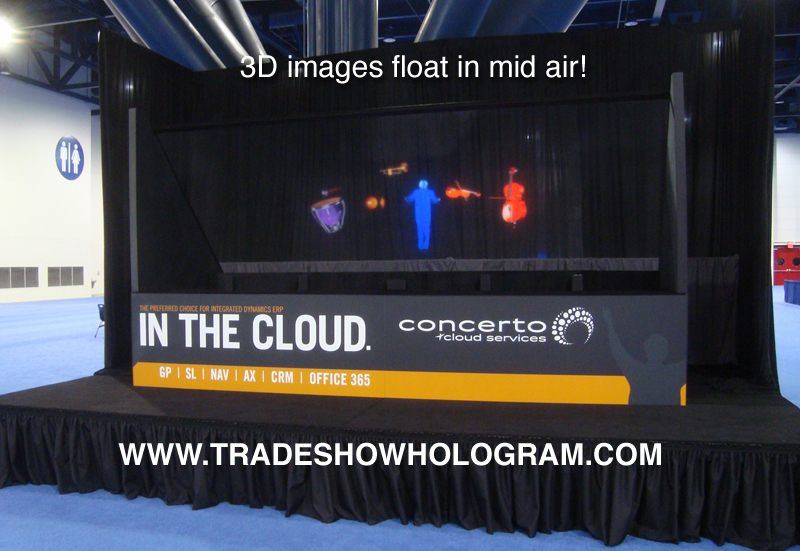 The hologram projectors display a 3d holographic presentation floating in mid air to promote products at trade shows across North America. Illusionist Timothy Drake who designs and created the special effects display has showcased the hologram projectors at trade shows for the past 7 years. A larger series of holograms has also been added to the Trade Show Hologram Brand and have recently been seen at press conferences where a big WOW factor was required. ” They certain act as eye candy and attract attention” says Drake.